Instagram provides a simple way to share pictures. Almost everyone has an Instagram. Or once in life has opened an Instagram account. When Instagram became popular, Facebook purchased Instagram. Something really nice to use on Instagram. Use it if you haven't used it yet. You can follow everyone you want to see what they are doing. You can send a message. Follow your friends and relatives. Follow famous people or even improve your hobbies with specific topic tags. You can join more than 1 billion people worldwide. It can be considered the fastest way to instantly share and receive instant reviews and comments. * Share the photos and videos you want to keep in your profile. * Combine multiple clips into one video with filters and creative tools. * See the photos and videos of the people you follow in your stream. * Interact with posts you care about with likes and comments. * Add vitality to your story with writing tools, drawing tools and other creative effects. Stories disappear after 24 hours. * Possibility to switch to live broadcast with your friend and share it in your story when your broadcast is finished. * Send private messages to your friends with Instagram Direct. * Send lost photos and videos. * Share content you see on Instagram. * Watch the stories and live videos of the people you follow. * Discover new accounts in the Explore tab, find photos, videos and stories. Instagram is a great time-passing tool for people who are bored. 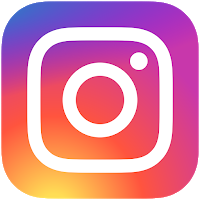 If Instagram takes a lot of time or you get bored with this application, follow the following account deletion link and instructions. You will need to login to Instagram.com. All your albums, all your comments, all your friends list and all your followers will be deleted.